Top 5 things to do in Toronto this week [August 25th - 31st] ! Hello final week of August! We are sad to see you go, but September is going to be filled with fun activities, making the transition into fall a lot easier. You know summer is over when it's your last week to see one of the Shakespeare in High Park plays. Catch Titus Adronicus or As You Like It at High Park for free, before it's too cold to spend an evening in the park watching really well done theatre. You also know summer is almost over when the final week of the CNE has arrived. Head over to The Ex on Saturday to get all your foodie cravings in after trying the zipline and all the rides you can cram in, and stick around to see Tom Cochrane remind you of your childhood with songs like Life Is A Highway. Comic nerds rejoice this week as Fan Expo returns to Toronto for another round of all things comic, sci-fi, horror, anime and gaming related. Workshops on everything from cosplay to pitching your story come together alongside celebrity Q&A's with the likes of Elijah Wood, William Shatner, Patrick Stewart, Richard Dreyfus and more. Get autographs from the cast of some of your favourite shows, and sneak previews of upcoming films you've been waiting for. Support new talent by purchasing a comic or fan art from an emerging artist at Artist Alley. While this isn't exactly an event, per se, downtown Toronto finally has its very own spot to get your sensory depravation tank relaxation on. If you're a fan of Joe Rogan's podcast, you might have heard of this device and all its mind and body enriching wonders before. This week, you can head down to Queen and Dovercourt and get yourself in one of these for an hour, and discover what it really feels like to leave gravity and all the other distractions in your life behind. Guaranteed to help you relax and recharge in a big way, an hour in the tank is equivalent to 4+ hours of high quality sleep. The best and brightest spots to dine at are featured in this tour of one of Toronto's hippest neighborhoods. 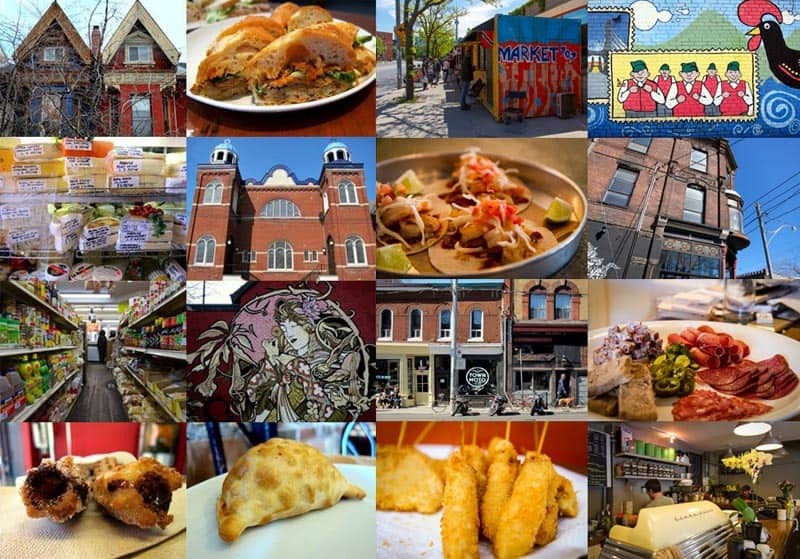 You'll get to sample a diverse variety of dishes from the local eateries, while also learning about the history and background of the neighbourhood.